As you know, Hanoi is considered to be a busy city in Vietnam. 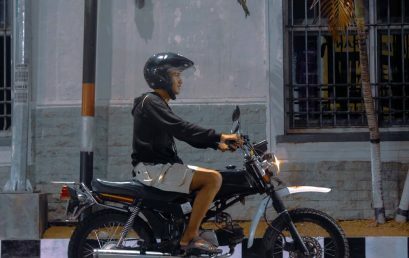 Today, the best way for you to experience areas around Hanoi is on motorbikes. You just need to spend one day exploring some interesting areas around Hanoi. 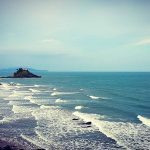 In this post, we will not explore the destinations we often know. We will go to Ba Vi mountain, Duong Lam ancient village and Thay pagoda. 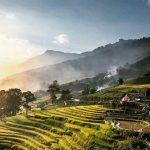 All three places below are the most considerable choices for anyone who is searching for a place nearby Hanoi to take the one-day motorbike trip. We first visit Ba Vi mountain. 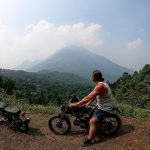 This is considered one of the favourite destinations for one-day motorbike trip. The Ba Vi mountain is famous for a soil-limestone mountain range. 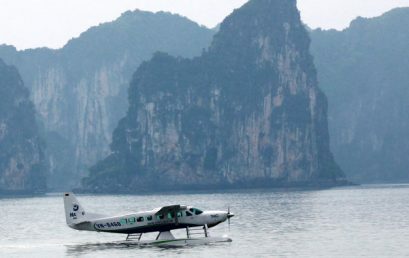 It is about 40km Southwest from Hanoi. The Ba Vi mountain covers an area of 50 km2. 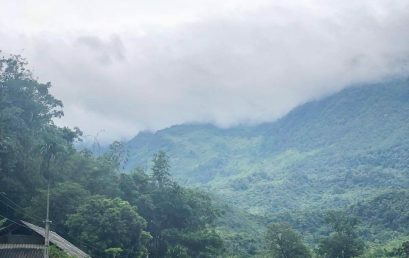 In Vietnamese mythology, the Ba Vi mountain is the home of Son Tinh (also called the mountain god). Here, we will have a chance to visit Ba Vi National Park. 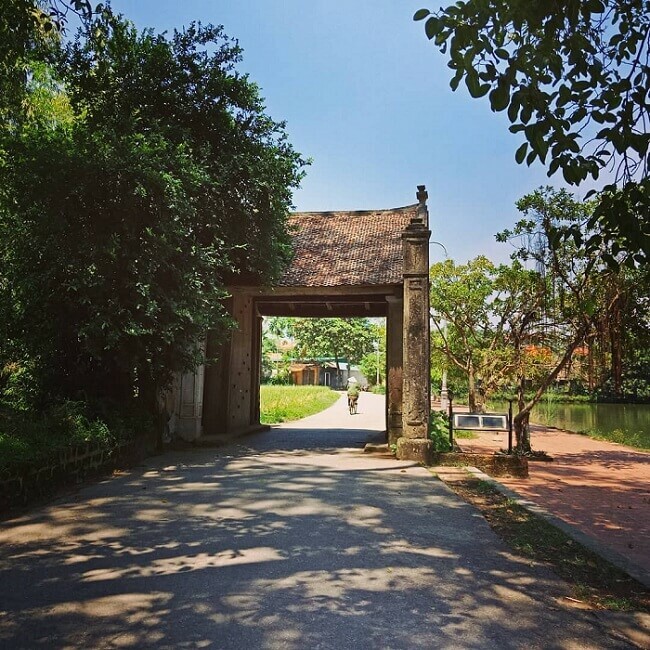 This park is located in between Ba Vi (a district of Hanoi) and Luong Son, Ki Son (districts of Hoa Binh Province). Ba Vi park is a national park of Vietnam. It is located in the Ba Vi mountain range. All the park about is 10,815 ha in area. When visiting this park, we will see rich diverse tropical species of flora or fauna. 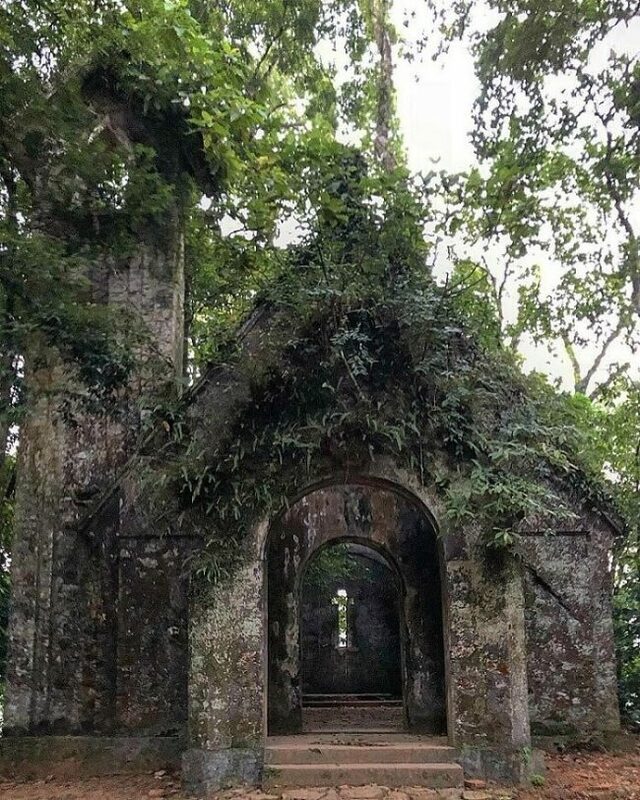 In the jungles of Ba Vi, the French built this cathedral in the 1840s. We will prepare food and drink at home and bring along. We will have lunch in Ba Vi park. However, if you do not like so, you can see some places to eat. Near Ba Vi park, there are a lot of delicious food such as noodle and bread. The staff in the restaurant here are friendly and helpful. Besides, the restaurants are quite clean and reasonably-priced. As you know, Ba Vi is very famous with milk. Coming here, you will see that people sell much milk all around Ba Vi. The milk is very fresh. It tastes amazing. Besides, you will also like the caramel and yogurt here. Although it is delicious, it is so cheap. Therefore, many people drive back to beautiful Ba Vi just for the milk products. 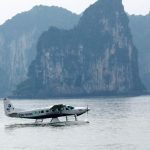 Ba Vi is one of the best trips we should visit all year in Vietnam. It is not only gorgeous but also relaxing. It is the sort of city-escape which we need. You will never regret if you decide to come here. 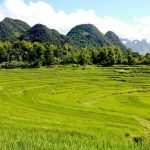 It is about 40km Southwest of Hanoi. It is called Duong Lam ancient village because of some reason. 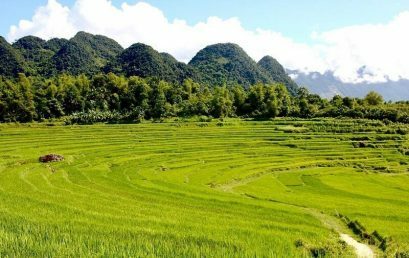 On 19 May 2006, it was the first ancient village which was recognized at Vietnam’s national level. Coming here, you will have a great chance to discover the architecture of ancient houses. Besides, you also visit ancient temples where the two kings of Vietnam (Phung Hung and Ngo Quyen) were born. In reality, Duong Lam is the most ancient village in the North. It has appeared more than a thousand years. To enter this ancient village, tourists have to pass through the village’s gate. This gate is made of wood which is very popular with Northern villages with the curved-shape roofed. The village’s structure is very special. It has a main road, from which we can go around the corner of this village. Besides, surrounding the Duong Lam village is the system of ponds. These ponds create charming scenery. This pond system is considered to be the air conditioning which makes the atmosphere much more comfortable. This village also has the large number of the ancient houses. These houses were built with ironwood pillars. Thanks to that, it helps to give rise to the ancient beauty for Duong Lam village. It is one characteristic which helps the Duong Lam village become one of most attractive attractions in Hanoi. In fact, Duong Lam ancient village includes about 800 ancient houses. Duong Lam is a fascinating tourist attraction in Hanoi. This ancient village includes 9 small villages. They are Mong Phu, Doai Giap, Dong Sang, Cam Thinh, Cam Lam, Ha Tan, Phu Khang, Van Mieu and Hung Thinh. Two famous places here are Mia Pagoda (or also called Sung Nghiem Tu) and Mong Phu Temple. If we have time, we can visit Mia Pagoda on a small hill in Dong Sang Hamlet. With an area of 800.25ha, this village provides Vietnamese people’s traditional cultural features. This is an ideal tourist site for exploring Hanoi. It is really suitable for tourists who like discovering the unique ancient and architectural characteristics. We can say that when setting foot on Duong Lam village, we will get wonderful memories. Especially, when go to Duong Lam village, you will also have a chance to talk with the locals. They live in the ancient houses. People here are quite friendly with tourists. Thay Pagoda is also called Master Pagoda. It is the place where students often come to pray before the exams occur. It is located in Sai Son Commune, Quoc Oai district. It is about 30km from Hanoi centre. In reality, this pagoda was built on the top of a hill during Ly dynasty. In this pagoda, Tu Dao Hanh lived and practised his religious life. In Vietnam, Tu Dao Hanh is one of the greatest monks. The Thay Pagoda is 900 years old. This pagoda is very peaceful, historical and quite quirky. 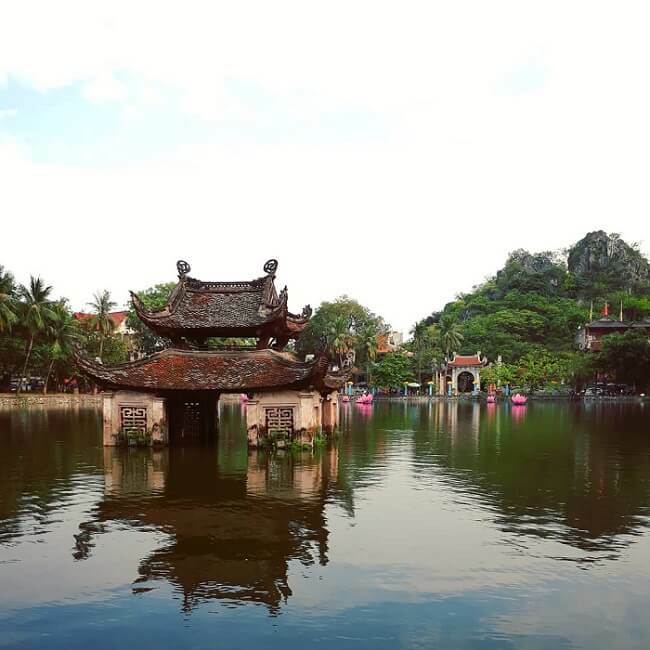 The surrounding scenery here is the same as that of Ninh Binh province. Here, there are rocky and forested outcrops. Thay pagoda includes three buildings. The biggest part is the main pagoda. It and the two smaller temples lie in front of a big lake. Water here is very fresh and clean. At certain times of the year, there are many performances which take place on the water here. Besides, there are a lot of colorful houses surround the lake. When we see it, we will think that we are in a film set. In fact, a visit to Thay pagoda will help you to feel comfortable. It not only helps you to escape from the bustle of Hanoi but also helps to broaden cultural horizons. When you are here, you will have something memorable and different. You need to prepare a reliable motorbike. You make sure you feel confident to drive, control the bike. 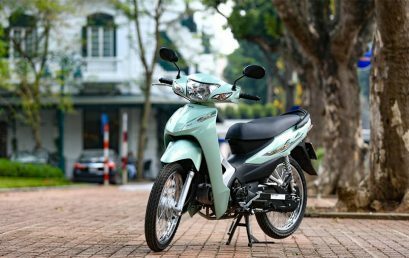 In Vietnam, we have 3 types of motorbikes like semi-automatic, manual and automatic ones. Picking the right bike to suit your ability. 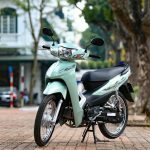 You should choose a genuine semi-automatic bike like Honda wave, Yamaha Sirius.. For manual bikes, recommend a new year model Honda Detech that is the most popular for travelers in Vietnam, it is easy to get fixed, replaced as well. You just join the one-day trip, so you should not bring too many items. You should decide on your luggage carefully. For example, you can take sachets instead of bottles. Moreover, you need to avoid bringing a lot of clothes to change of clothes. You have to remember that you just go out one day. Therefore, make a list of the essential items to bring before you are ready for the trip. Dressing is very important for us when we drive a motorbike. Dressing properly helps us to become more active. We should wear a comfortable t-shirt, jean pants, ankle boots and a full-face helmet. Besides, we also need to bring the jacket we feel comfortable when wearing it. After several hours driving on the road, you need to take break. You can sit on your motorbike for an hour. You need to know when your body and motorbike want you to stop for a break. If you do not have break time, you can feel so tired. Therefore, it makes your trip to become dangerous. 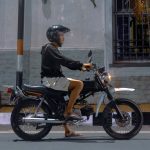 Besides, you can check your motorbike’s fuel and conditions. This will help you to avoid unexpected difficult circumstances. 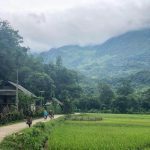 In conclusion, this post helps you have a general look about one-day motorbike trip around Hanoi. This trip will take you back the origin of Vietnam’s culture and traditions. This is also the best chance for you to have meaningful moments. Hope you will love this trip! We would like to rent a mortor bike from the airport at 8.30 am. And return somewhere in old quarter about 8.30 pm. Please let me know if you provide the following services.